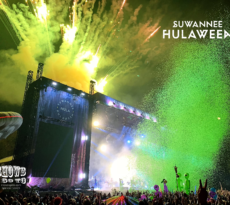 The best party of the year is quickly approaching: Suwannee Hulaween and it’s SOLD OUT! 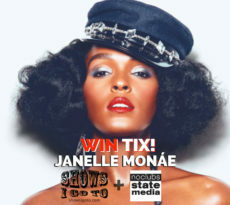 (Learn below how you can still get tickets.) 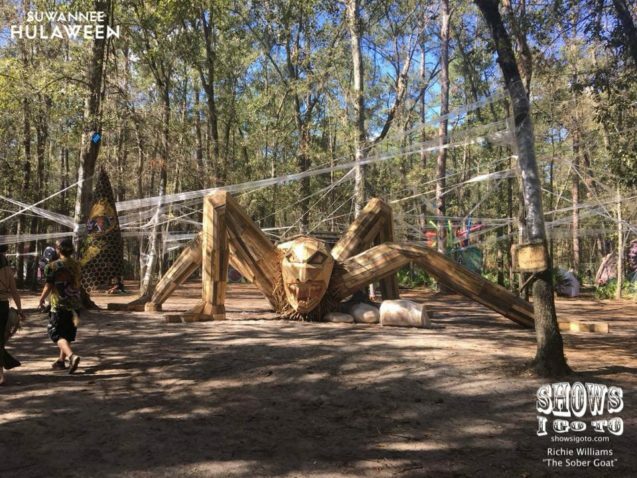 It’s a costumed music festival under the Spanish moss and Stars of the Spirit of Suwannee Music Park. 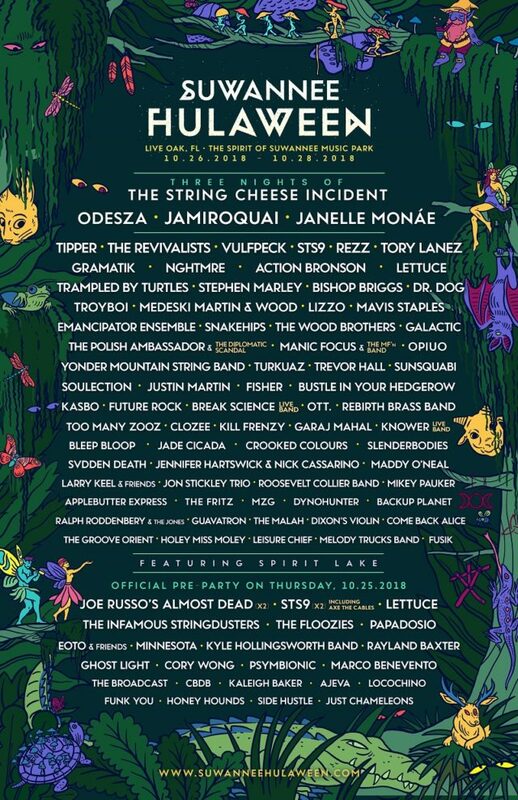 Here, twenty thousand music freaks and monsters will dance to the musical styling of ODESZA, Jamiroquai, Tory Lanez, Janelle Monáe, Tipper, The Revivalists, Vulfpeck, Action Bronson, & three nights of The String Cheese Incident. This lineup contains the best of every genre of music. EDM, Hip-Hop, Rock, Funk, Strings, Jam, Trance, Womp, Clicks, and Boops (Tipper). Concert goers will enjoy the very best that the park has to offer: shaded camping, clean and plentiful bathrooms, a river for swimming, playgrounds for children, some of the best food, crafts, and art vendors in the southeast. Breathe. A ferris wheel, full liqour bar and restaurant, bat house, and so much more! 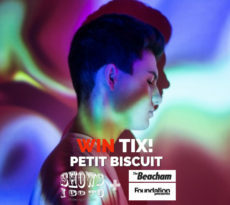 Okay, so we have a an amazing venue, but the reason we are going is for the MUSIC! Let’s dive into some of Spencer’s DO NOT MISS list! The Polish Ambassador & The Diplomatic Scandal – TPA is back at Hula again, this time with his newest outfit. 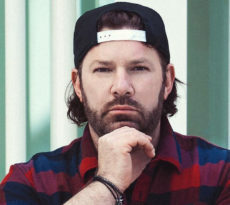 With a hand in every style of EDM, he’ll have you dancing to solid beats from glitch to earthy down-tempo rap. Turkuaz – The Power-Funk 9 piece from Brooklyn is as upbeat and funky as they are colorful! Dressed in nine solid colors, this band has the best dance moves, vocals, and song composition of any group around. I saw them on Jam Cruise this last January and now I feel like I follow them like a little lost puppy. Break Science Live Band – Here, Lettuce plus Borahm Lee is a beautiful trip-hop/dub/jazz funk combination to behold. The Sober Goat and I recently caught this masterpiece in the making at Gasparilla 2018 in Tampa, FL. Leisure Chief – This Orlando funk/jazz group recently played at Hulaween in 2015. They are a staple at the main music watering hole in downtown Orlando, Tanqueray’s. Check out this high energy group, OH and did I mention they usually have a guest rapper? And, of course, the Activities!! 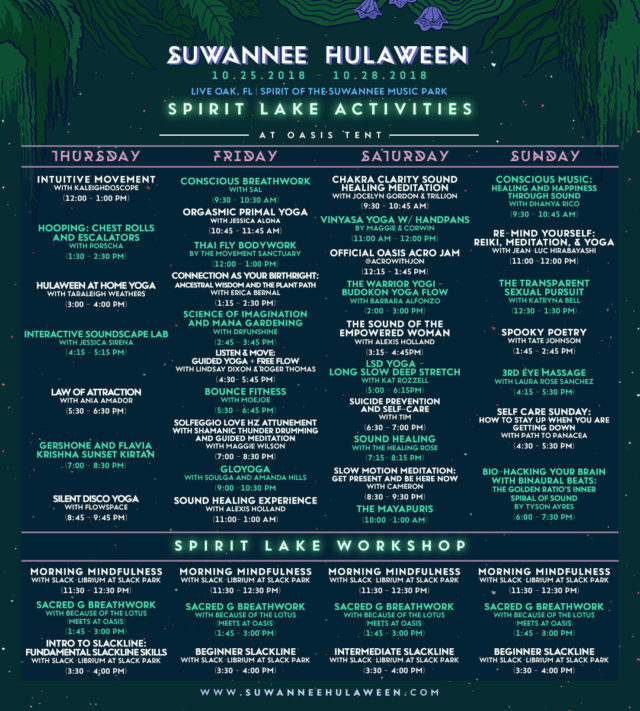 I could go on and on about the awesomeness that awaits you in at the adult playground I lovingly refer to as “Paradise.” The Spirit of Suwannee Music Park will be full to the brim with ghouls, goblins and great music! If you don’t want miss out on this epic party, there are a few official ticket trade and face-value purchase options. 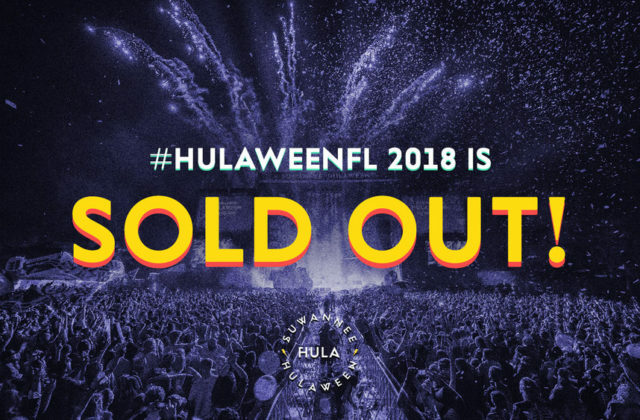 Hulaween 2018 Sold Out article by Spencer.